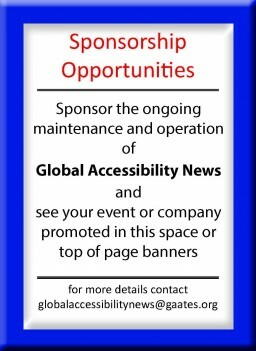 INTERNATIONAL: Receive recognition as an internationally certified accessibility consultant! In it’s first quarter of operations, ICAC-BE program candidates’ submitted credentials in January 2018 for review and evaluation by GAATES’ Expert Panel. Reviews occur each quarter, assessing candidates’ credentials within the three levels of certification available. The next session of the Expert Panel evaluation is currently underway. GAATES is accepting applications for upcoming reviews in July and October 2018. Details of the program and application criteria are available at: gaates.org/certification. Questions can be sent to certification@gaates.org. Apply now to secure your spot in the next round of evaluation. GAATES is committed to deepening the recognition of practitioners who have acquired the knowledge and skills to implement accessibility and apply universal design principles. The GAATES ICAC – BE certification program identifies you as an emerging or current leader in the field of accessibility with technical knowledge, experience, and credibility in the application of Universal Design of the built environment. We are currently accepting CVs of accessibility consultants interested in participating in the program as part of the Expert Panel. Interested applicants can provide details to certification@gaates.org.